Clients design request: Greeting Card Series for Company Marketing. Design matching to company current branding and color scheme. 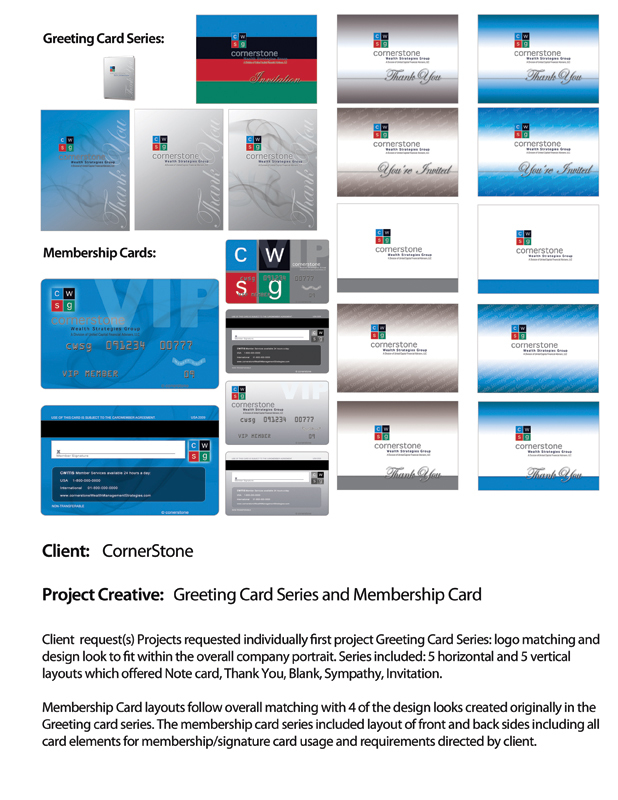 Membership cards creative for company Marketing and Advertising direct mailings. Choice branding concept: All accepted.